Deciding to attend school online is a tough decision. Though it tends to be more convenient for you, the thousands of online programs offered can be quite overwhelming. How do you know which program you want to pursue? Which schools offer that, and how do you know which one is right for you?The sheer amount of information may seem too much at times, but we’re here to simplify the decision for you. Here is a list of 16 best online universities that offer a variety of bachelor’s, master’s, doctoral degrees and postgraduate certificates. Earn your degree through one of the best colleges in the US, at your own pace, wherever you want. You control the when and where, making it far more realistic for you to complete your degree. UMass offers 113 online programs completely online and an additional 12 programs that can be completed by combining on-campus and online study. The University is known for its Master’s of Business Administration, Doctorate of Nursing, and Master’s of Public Health programs. Distance learners are enrolled in classes from the same prestigious professors who teach on-campus, they are also given the opportunity to walk at graduation on-campus, and are offered library resources and academic counseling. The University of Florida offers more than 300 online programs, with its online MBA program ranked #1 in the state of Florida and online bachelor’s program ranked #13, according to U.S. News & World Report. The University offers over 16 different colleges leading to bachelor’s, master’s, specialist, and doctoral degrees. Distance students have access to an online management system, library resources, career opportunity services, and an online registration program. UF is known for its large research program and is recognized by The Carnegie Classification of Institutions of Higher Education for their scholarly research efforts. FSU is proud to provide nationally renowned faculty members and academic programs. As an accredited university, FSU students, whether online or on campus, are given the maximum attention for success through high standards, quality assurance, and continuous improvement to make courses better and better. FSU offers multiple classes, and even complete degrees, that can be completed 100% online. So if you’ve been meaning to complete your degree, or even attain a master’s degree but have no way of reaching the FSU campus, be sure to check out their online programs. NMSU’s distance education program is in place to help students that may not be able to gain an education the traditional way. NMSU enrolls more than 15,000 students and has received national recognition from The Carnegie Foundation for the Advancement of Teaching. Programs include bachelor, master’s, and certification programs of many kinds. Mizzou offers more than 90 online degrees and certificate programs including nine various bachelor degree programs such as Hospitality Management, Educational Studies, Health Sciences, and Radiography. Some programs require students to participate on campus for tests or hands-on learning. Online classes are taught by the same on-campus faculty. Semesters range from eight to sixteen weeks depending on the course offered, but all online classes are self-paced. Mizzou uses three different course management systems including Blackboard, Moodle, and Sakai to allow students easy access to their classes. Oregon State University is a place of purpose; making a difference in the quality of life, natural resources, prosperity, and more! OSU offers over 90 study areas online to allow those that are unable to visit campus every day to still be a part of Oregon State University’s place of purpose attitude and learning. Oregon State University is a regionally accredited school with online courses taught through the same requirements for reading, research, and examinations as on-campus courses. The University of Oklahoma offers several bachelor degrees including Administrative Leadership, Criminal Justice, Liberal Studies, Lifespan Care, and World Cultural Studies. Most programs are offered on an accelerated paced schedule. Upon admission, many students can meet with an assigned advisor who will help create a graduation plan so students can finish as soon as possible. At Oklahoma, all online programs are accredited by the Higher Learning Commission and designed to accommodate working individuals. Utah State University has been offering distance education for over 90 years; they now provide complete online degree programs, and individual classes for those not looking to earn a full degree. USU is ranked #2 as one of the highest ranked public universities in the West, #4 in the nation for lowest tuition in “America’s Top Colleges,” and 8th as one of the nation’s best public national universities for graduates with the least debt. Mississippi State University is ideal for graduate students; they offer 25 varying masters and doctoral degrees. This online university also offers four undergraduate degrees including the only online Elementary Education program in the state. The University recognizes up to 61 credits for students transferring from another accredited university. The online courses are organized through Blackboard, an online systemization program. Alabama offers 12 different bachelor degree program in the Arts and Sciences, Engineering, Human Environmental Sciences, and Nursing. The University also offers several master’s and doctoral degree programs. Alabama is one of the best online universities because students have access to the career resource center, the writing lab, and scholarships. Students are required to arrange a proctor at a UA approved testing location. Some courses are also offered through video conferencing. CSU offers twelve different undergraduate degrees including Accounting, Information Technology, and Marketing. Classes are offered every four weeks, and several specialization courses are offered to allow students to customize their learning. There are no set start times for classes, giving students plenty of flexibility in their schedule. The Higher Learning Commission accredits Colorado State as a top university. This online university also works with students to transfer as many credits from previous accredited universities as possible. 96% of online students at Old Dominion University are happy with their overall experience. At Old Dominion University, they create and provide classes for you, the student. It doesn’t matter where you are at; just beginning your higher education, half way through a degree, or wanting to get a master’s, Old Dominion University has an online program for you. In 1995, the University of Illinois acquired SSU as its third campus; the initials became UIS. Now UIS alums comprise 28% of the college-educated workforce residing in Springfield, and its students and alumni add $176 million to the local economy annually. Discover what it’s like to be a UIS student by enrolling in one of the many online degrees and certification programs. Liberty University is a private Christian school with classes taught through a Christian worldview. There are more than 250 online programsavailable through Liberty University including certificate, associates, bachelors, masters, and doctoral programs. Liberty University began work with distance education in 1985; it is now the nation’s largest private, nonprofit online university. Over 95,000 students around the globe are able to delve into the education Liberty University and enjoy the same quality education as those that visit campus each day. Penn State is ranked in the top 1% of universities worldwide and has offered an online program since 2000. They offer over 120 undergraduate and graduate online programs including 40 bachelor’s degrees in things like accounting, advertising, finance, and political science. Penn State’s on-campus faculty also teach the online classes offered, which means there are plenty of on-campus resources and faculty available to those in the area. If you cannot be on campus, however, online students receive the same perks of meeting with counselors, and other on-campus services, over the internet. 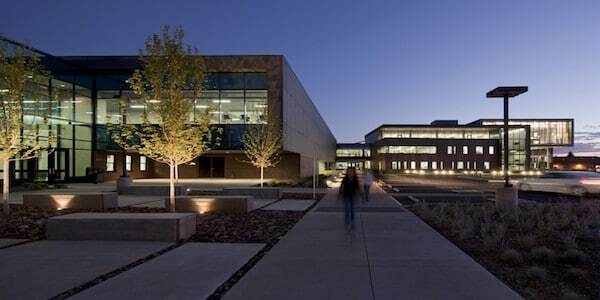 NAU offers several bachelor degree programs including Business, Hospitality and Engineering, and several more. The school also offers over 20 master’s degree programs including Administration, Communications, and Nursing. The asynchronous online platform offers students great flexibility in their schedule at this online university. Students have access to online support and tutoring 24/7. The Carnegie Classification of Institutions of Higher Education recognizes the university for their high research activity and also holds accreditation from the Northern Central Association of Colleges and Schools. A member of the University System of Ohio, the University of Cincinnati offers more than 70 online degree and certificate programs. Several online undergraduate degrees include early childhood education, radiation science technology, criminal justice, and substance abuse counseling, among others. Online master’s degrees range from medical education to taxation to pharmaceutical sciences. Several general education courses and online certificate programs are also available. Online students have access to an online orientation, academic advising, library resources and tutoring. Boston University is a non-profit organization offering programs across 18 different colleges and schools. BU is known for its top online programs in Criminal Justice, Computer Information Technology, and Business. Students can pursue one of nine varying master’s degrees or one of a number of certificate programs. The New England Association of Schools and Colleges accredits BU. Drexel University prides itself in offering over 200 programs for its students ranging from bachelor’s and master’s degrees to professional degrees. This online university is known for having one of the largest cooperative programs that prepare students for careers post-graduation. This system provides students the opportunity to build a large network of colleagues and contacts. Some of the programs Drexel offers are designed on an accelerated platform to accommodate students’ future plans. Drexel also offers various study abroad opportunities that are available to online students. ASU offers over 50 bachelor’s degrees, master’s degrees, doctoral degrees, and several certificates. ASU offers six different start dates for online students making it convenient for students to start when they are most available. Most classes have specific deadlines for assignments, and some require students to log in at designated times of the day or week. Online students are given the same opportunities that on-campus students have with access to enrollment counselors and academic advisors. The Carnegie Classification of Institutions of Higher Education recognizes ASU as a top research university. The University of Minnesota offers 17 different online undergraduate programs including Accounting, Management, and Communications. There are nine various master’s and doctoral degrees, and several post-baccalaureate programs offered to online students. These degrees can be completed entirely online, but the school also offers several hybrid programs where students can complete their education partially online and partially on-campus. Online students have access to academic advisors and several other resources offered through the Digital Campus online system. Assignments and test are organized through an online course management system called Moodle and some lectures can be accessed on the school’s iTunes account. Discover why CMU online has been voted best in 2016 for online bachelor’s degrees, online MBA programs, and online graduate education. CMU is all about research for the future; from discovering new ways to treat diseases, to advanced ways to improve teaching and learning, and more! Central Michigan University has 20,000 students enrolled on campus and 7,000 online students. Get your bachelor’s, master’s, or doctoral degree completely online with CMU’s many internet-based programs. Penn State University online is Penn State, and Penn State is a nationally recognized university. There are over 125 online degree and certification programs available through Pennsylvania State University’s World Campus online program. Since 1892 students have had the opportunity to take part in the Penn State environment without having to travel to campus. As a pioneer to eLearning, Penn State has evolved to include many enhanced learning experiences to help improve the way students learn. Washington State offers nine different undergraduate programs including Accounting, Psychology, Management, and Social Sciences. This online university also offers several master’s degrees, online certificate programs, and a few teaching endorsement programs. Online students have access to 24/7 technology support, free online tutors, and a writing lab. WSU is also recognized by The Carnegie Classification of Institutions of Higher Education for their research efforts. With degree programs in Alternative Medicine, Construction Management, Aviation Management and more, you can choose an online degree program that is best for you at Everglades University. All online courses are prepared by staff that creates an interesting, interactive learning environment that can be accessed anywhere through the world wide web. Both on campus and online courses are accredited by the Southern Association of Colleges and Schools Commission on Colleges, which means students will be taught with their success in mind. eULM offers over 30 degree programs, resources, and a caring community to help get you through your college degree. ULM is accredited by the Southern Association of Colleges and Schools Commission on Colleges (SACSCOC), which means that eLUM participates in the Southern Regional Education Board’s (SREB) Electronic Campus. University of Louisiana at Monroe online is ranked 14 in the top 50 online schools in the country by GraduatePrograms.com. As an online student at GCU you are able to take classes, work on homework, and learn quickly from any place with an internet connection; but with GCU online you also have access to all the resources, activities, and calendar events happening on the Phoenix campus, should you choose to participate. GCU is accredited by both colleges specific and program specific accreditations, which speaks clearly to the quality of the university. If you are looking for a great university to learn and gain a degree or certification online, discover the list of online degree programs available at GCU. Texas Tech is one of the top online universities because it offers six different bachelor’s degree programs including Human Sciences, Biology, and General Students. The school also offers 20 various master’s degree programs, four online doctoral programs, and many post-grad certificate programs including software engineering, soil management, and wind energy. Texas Tech uses Blackboard as the online management system to facilitate forums, file share, and curate live courses. RIT online is staffed with a diverse group of experienced faculty, prepared to ensure a high-quality learning experience for everyone taking classes online. Whether you are completing a few courses, earning a certification, or doing a complete degree online, the RIT staff are ready to help you succeed. RIT online has been building programs based on real-time employer demand, and business needs for over 30 years. Discover programs available at RIT online today. Northeastern is a nationally ranked private research university that offers rigorous courses online to help you get ahead. Northeastern provides over 60 degrees and programs completely online. Built in 1898, Northeastern University became a global, experiential, research university with a drive to engage the world and have students do the same. The making of this list was based on undergraduate tuition costs per credit hour (where possible) and are listed from the least tuition per credit hour to the most. For schools that don’t present tuition per credit hour, the semester amount was divided by 12 to get a general idea of the cost per credit hour for a full-time student. Please visit our methodology page for more information. We are always looking to make our lists and rankings stronger, so we can provide our readers with the most accurate information. For more specific information on these programs, please visit the links provided in this article or feel free to contact us with any other concerns.